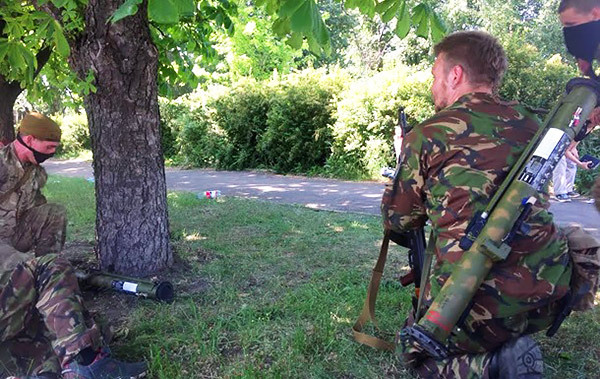 I never thought that I would have to explain the obvious, but there are still some citizens in Donetsk who really believe in a good future for the so-called “Donetsk People’s Republic”, they still consider looters and terrorists to be a “people’s militia”, and at the same time believe that the Anti-Terrorist Operation has as its purpose to clear Donbas from Russians. To clarify the situation let’s start from recent events. 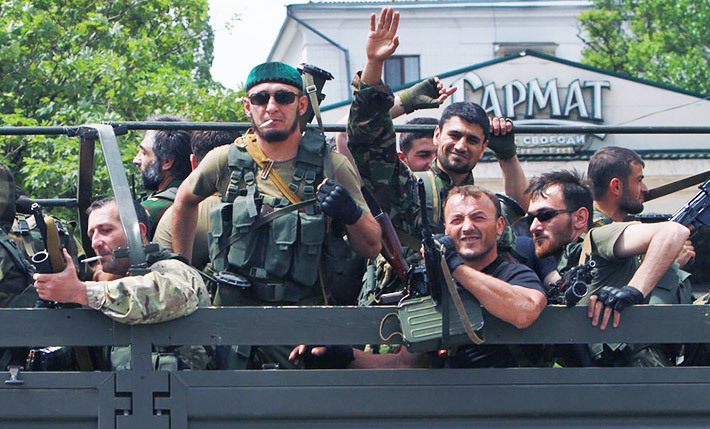 On 25 May, 2014 the gunmen of Ramzan Kadyrov, the president of Chechnya, publicly arrived in downtown Donetsk. To remind, the Chechen Republic is part of the Russian Federation. A CNN journalist managed to interview them, where they confirmed who they are and where they are from. 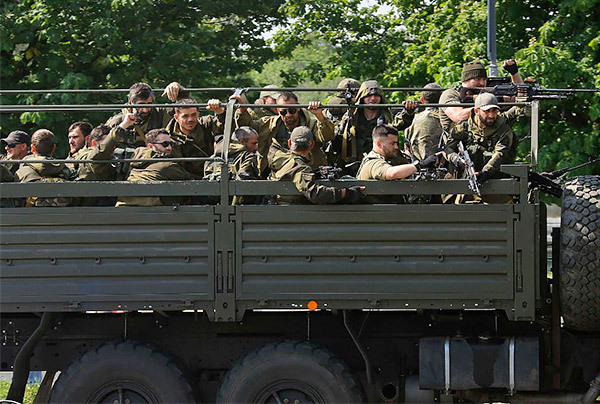 At the beginning of the Crimean invasion, Ramzan Kadyrov declared his readiness to send his fighters to defend Russian interests in the Ukrainian territory. “If needed, we will come to the rescue and will see that no harm comes to Russians, Cossacks, or to Chechens. We are called to defend our peoples. 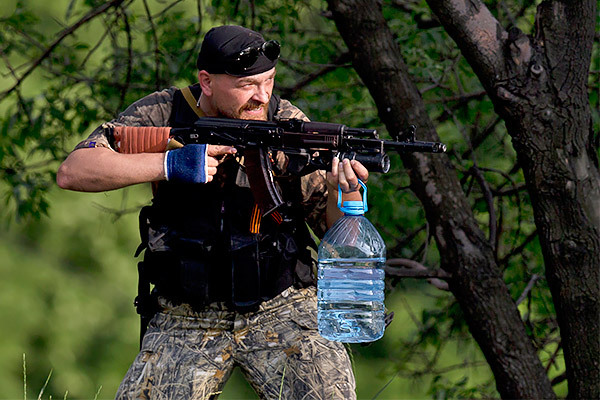 And we are ready to become observers, peacemakers, soldiers and defend people,” Kadyrov said. 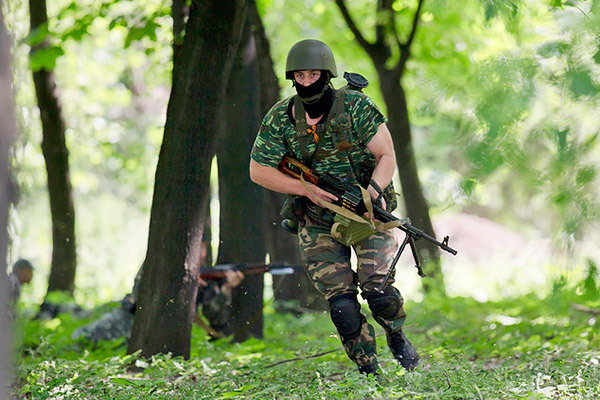 Earlier, the squad “South” from Ossetia publicly announced itself in Donetsk, having recorded a video-appeal. 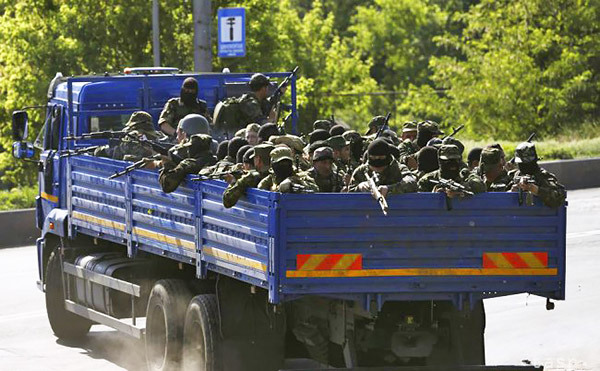 According to the information of the group “Information Resistance,” among the Donbas fighters citizens of Russia from Ingushetia and Dagestan, and some Serbian nationals and residents of Abkhazia were identified. 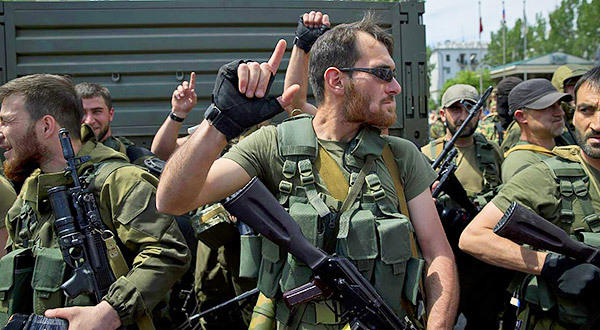 Why do we label the fighters of Donetsk People’s Republic and of the battalion Vostok as terrorists, and not as “oppressed Donbas civilians” who need to be heard and understood? Because only mercenaries, bandits, and impostors can blow up railway tracks and seize airports, invade schools and fire at residential areas, rob banks and car salons, shut down factories and mines, burn sport-complexes and maraud office buildings. 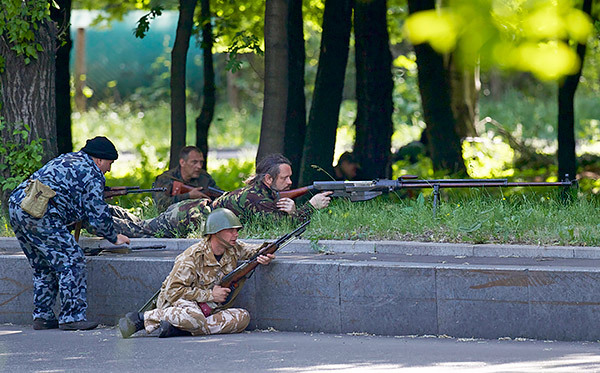 And in this they do not defend any peace in Donetsk. 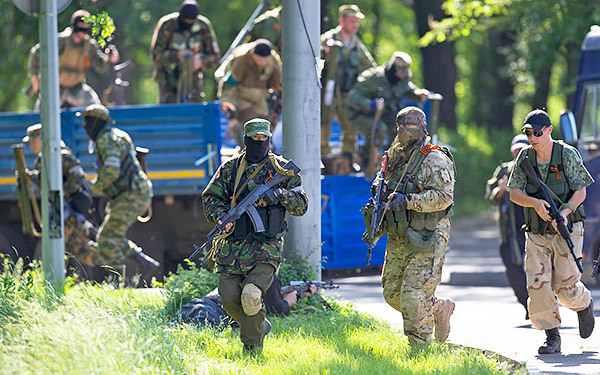 Hiding behind the myths of the Right Sector, supporters and mercenaries of Donetsk People’s Republic immerse cities of Donbas in chaos, armed tyranny, and crime. Moreover, they destroy Donbas’s economy, depriving people of a future. @raymond_saint noticed in Twitter that the fighters of self-proclaimed “Donetsk People’s Republic” have the latest modified Russian rocket launcher MRO-A, that has a tube from the rocket launcher # 26, but is 130 mm longer and has a rear sight from a Russian flamethrower. It confirms once again what the source of separatism and terrorism in Eastern Ukraine actually is. 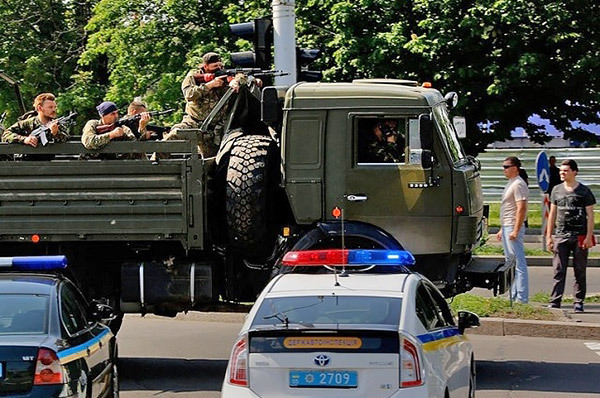 That’s why Donbas doesn’t need such “peacekeeping” troops and bandits thrilled by impunity, who wield under the cover of the police that has betrayed people in the eastern regions of Ukraine. It also doesn’t need self-proclaimed “people’s” governors, prime ministers, and mayors that nobody had elected. It’s good that the majority of the Donetsk population understands it. We pray that God enlightens those who think differently.